1. Train No. 57477 Tirupati – Kadiridevarapalli passenger train is partially cancelled between Guntakal – Kadiridevarapalli stationsfrom 06th to 20th February, 2019. Train No. 57478 Kadiridevarapalli – Tirupati Passenger train is partially cancelled between Kadiridevarapalli – Guntakal stations o­n from 07th to 21st February, 2019. 3. Train No. 18463 Bhubaneswar – KSR Bengaluru Prasanti Express is partially cancelled between Sri Sathya Sai Prasanthi Nilayam – KSR Bengaluru stationson 09th February, 2019. 4. Train No. 18464 KSR Bengaluru – Bhubaneswar Prasanti Express is partially cancelled between KSR Bengaluru– Sri Sathya Sai Prasanthi Nilayam stationson 10th February, 2019. 5.Train No. 11301 C Shivaji Maharaj Terminus – KSR Bengaluru Udyan Express is partially cancelled between Yelahanka – KSR Bengaluru stationson 08th & 09th February, 2019. 6. Train No. 11302 KSR Bengaluru – C Shivaji Maharaj Terminus Udyan Express is partially cancelled between KSR Bengaluru – Yelahanka stationson 09th & 10th February, 2019. 1.Train No. 56501 Vijayawada – Hubli Jn Passenger train scheduled to depart Vijayawada from 07th to 21stFebruary, 2019 is cancelled. 2.Train No. 56502 Hubli Jn – Vijayawada Passenger train scheduled to depart Hubli Jn from 05th to 19thFebruary, 2019 is cancelled. 3.Train No. 56503 Bengaluru cantt – Vijayawada Passenger train scheduled to depart Bengaluru cantt from 06th to 20thFebruary, 2019 is cancelled. 4.Train No. 56504 Vijayawada – Bengaluru canttPassenger train scheduled to depart Vijayawada from 06th to 20th February, 2019 is cancelled. 5.Train No. 77416 Guntakal – Bellary DEMU train scheduled to depart Guntakal from 06th to 20th February, 2019 is cancelled. 6.Train No. 77417 Bellary – Guntakal DEMU train scheduled to depart Bellary from 06th to 20th February, 2019 is cancelled. 7.Train No. 77418 Guntakal – Hindupur DEMU train scheduled to depart Guntakal from 06th to 20th February, 2019 is cancelled. 8.Train No. 77419 Hindupur – Guntakal DEMU train scheduled to depart Hindupur from 07th to 21st February, 2019 is cancelled. 9.Train No. 77410 Dhone – Gooty DEMU train scheduled to depart Dhone from 06th to 20th February, 2019 is cancelled. 10.Train No. 77411 Gooty – Dhone DEMU train scheduled to depart D Gooty from 06th to 20th February, 2019 is cancelled. 1. Train No. 11014 Coimabatore – Lokmanyatilak Kurla Express scheduled to depart Coimabatore o­n 10th February, 2019 is diverted to run via Yelahanka, Yesvantpur and Banswadi stations. 2. Train No. 11013 Lokmanyatilak – Coimabatore Kurla Express scheduled to depart Lokmanyatilak o­n 08th& 09th February, 2019 is diverted to run via Banswadi, Yesvantpur and Yelahanka stations. 3.Train No. 17235 KSR Bengaluru – Nagercoil Express scheduled to depart KSR Bengaluru o­n 10thFebruary, 2019 is diverted to run via Jolarpettai and Tirupattur stations. 4.Train No. 17236 Nagercoil – KSR Bengaluru Express scheduled to depart Nagercoil o­n 09th February, 2019 is diverted to run via Tirupattur and Jolarpettai stations. scheduled to depart Howrah at 10.50 hrs today i.e, 13.10.2018 is rescheduled to depart at 13.30 hrs o­n the same day. 2.Train No. 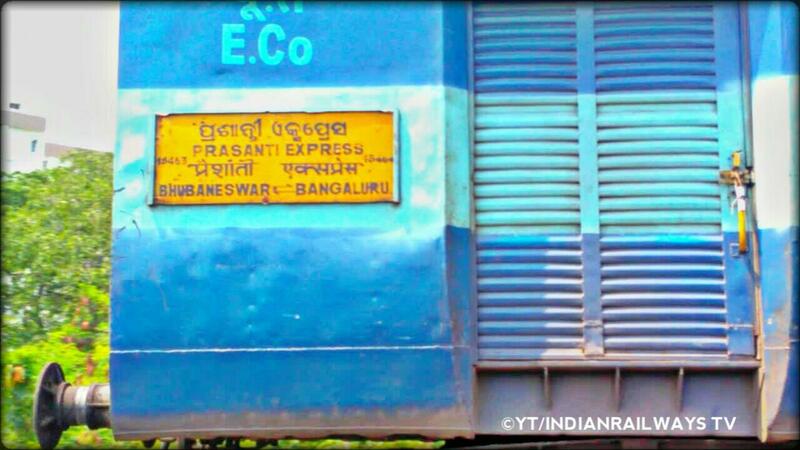 18464 KSR Bangalore – Bhubaneswar Prashanthi Express scheduled to depart KSR Bangalore at 13.50 hrs today i.e., 13.10.2018 is rescheduled to depart at 21.30 hrs o­n the same day. 3.Train No. 12551 Yesvantapur – Kamahkya AC Express scheduled to depart Yesvantapur today i.e., 13.10.2018 at 08.30 hrs is rescheduled to depart at 08.30 hrs o­n 14.10.2018. 4.Train No. 22606 Villupuram - Purulia Express scheduled to depart Villupuram at 11.40 hrs today i.e., 13.10.2018 is rescheduled to depart at 05.30 hrs o­n 14.10.2018. Indian Raiwlays Passenger Alert! If you have planned to undertake a train journey today, you must check your train's status before leaving for station. Indian Railways has cancelled as many as 217 trains today including some superfast trains. 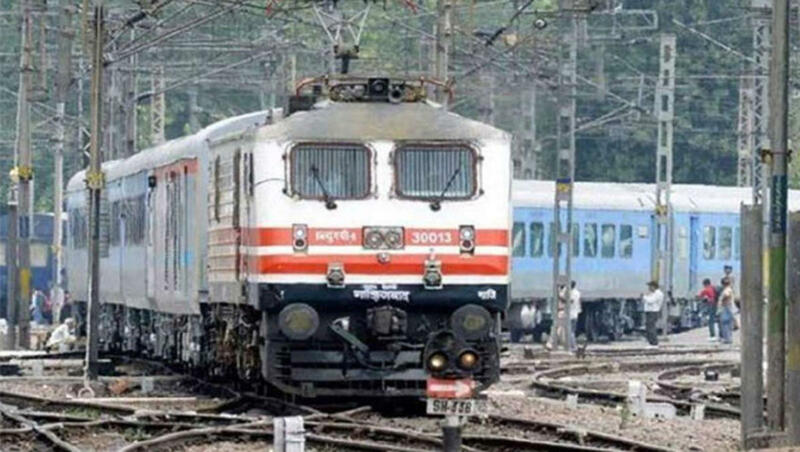 The superfast trains which have been cancelled on October 12 include LTT Manmad Express, Howrah-Chennai-Coromandal Express and Howrah Yesvantpur Express. South Easter Railways has also said that train number 22873 Digha-Visakhapatnam Express leaving Digha on 12.10.18 will remain cancelled from Digha due to cancellation of corresponding link train. Railways used to run around 12,600 train carrying over 23 million passengers every day. Though it used to send text messages to the passengers in case of cancellation or delay of their trains, you must check yourself before leaving for the station.